On Sunday, 7th April some Honiton Running Club members started off the spring marathon season with the Greater Manchester Marathon. First back for HRC was Steve and Michelle Selley in a time of 4 hours 15 minutes. Anna Dalzell was next back in 4:19 with Claire Rouse finishing in 4:32 and then came Vanessa Knowles in 4:38. Just one week later, Vanessa was tackling the Brighton Marathon finishing in 4:51. A much shorter distance race and much closer to home attracted lots of HRC runners on Good Friday to take part in the 7 mile multi-terrain Kilmington Kanter. It was a gorgeous hot sunny day which makes a change as this race is often run in very cold conditions; perhaps one advantage of Easter being late this year. First back for HRC was Adam Hennessey coming 10th in 48:10. Alasdair Moffett followed in 19th place in 53:53. Tom Bornet came 21st in 54:24. First back for the HRC ladies was Paula Ferris who stormed around coming 3rd lady overall in 31st place in 57:29. Paula is tackling London Marathon in just over a week and the training is obviously paying off. Richard Harvey came 34th in 57:50. Howard Bidmead won his age category coming 41st in 59:48. Judy and Steve Davey raced each other to the line with Judy crossing the line first and winning her age category. Judy came 43rd in 1:00:26 and Steve was given 1 place and 1 second later. Their daughter Jo was suffering with a cold and came 47th in 1:01:56. There were several first time runners for this race from HRC and Sharon Wells had a great race coming 49th in 1:02:32. Other HRC runners: 63rd Luke Holway 1:08:13, 64th Rachel Hennessey 1:08:29, 65th Tim Wigram 1:08:38, 73rd Janice Newson 1:11:08, 78th Emma Davey 1:14:11 and 87th Kathy Layzell 1:25:24. There were 89 finishers and the race was won by Tom Merson in the amazing time of exactly 39 minutes which is a course record of over 3 minutes. HRC junior Piper Leisk took part in the 2 ½ mile Fun Run which starts with the main runners and goes up into Kilmington Woods before returning to the cricket field. Piper came 3rd girl, 18th overall in 21:40. There were 42 finishers. Upon their return, runners were treated to a seasonal warm buttered hot cross bun. Thanks for everyone who helped organise the race especially Luke Reed as the main man. Money raised went to Kilmington Primary School. ​Honiton Running Club held its Hippo and Calf runs last Sunday with the base at Honiton Primary School. It was a very cold day but dry which made the going underfoot pretty good. 20th Wayne Trump 1:00:06, 33rd Ceri Oak 1:04:33 (category winner), 41st Vernon Gillard 1:05:42, 43rd Stephen Boyes 1:06:20, 72nd Luke Holway 1:15:24, 81st Linda Grady 1:17:05, 99th Ashleigh Ford-Cosens 1:22:11, 104th Daniella Monger 1:24:33, 105th Anna Dalzell, Steve & Michelle Selley (ran together) 1:24:39, 112th Andy Ashford 1:25:20, 117th Emma Davey 1:27:28, 131st Carol Turnham 1:30:19 and 173rd Michelle Hill 1:53:15. There were 192 finishers. The Calf is open to youngsters of 9 years and over and is approximately 1 ¾ miles in length although younger children are allowed if they run with an adult. It follows the same route as the Hippo until coming out of Combe Woods when the Calf runners are sent back to base. This year it was decided that the river was too deep so they were directed back on the road. HRC’s own Alfie Gibbins won the race in 11 minutes 13 seconds with Finlay Downes coming 2nd in 11:20. Sam Eyre of AVR came 3rd in 11:22. The first girl back was Lauren Carr in 12:48, 2nd girl was HRC’s Piper Leisk in 13:09 and 3rd, also from HRC , was Maicey Bennett in 13:13. Jemima Daly came 14th in 13:25 winning her category. Other HRC runners: 6th Jacob Holland 12:19, 8th Ben Matthews 12:25, 9th Charlie Wheeler 12:32, 10th Ben Totten 12:48, 15th Jonathan Triner 13:30, 16th Max Spiller 13:45, 20th Amber McDermott 14:07, 23rd Ella Spiller 14:41, 25th Maddie Knight 15:34, 26th Skye Symons 15:54, 32nd Mason Peek 16:28 and 34th Emily Pepper 17:27. There were 37 finishers. The winning primary school team this year was Upottery. Thanks to everyone for supporting the run and those who helped including marshals and cake makers and especially the land owners for allowing all those feet to trample their ground. Honiton’s next event is the Ottery 10k on 12th May. Visit www.honitonrc.com for more information. On Sunday, 31st March, Sherrie Hair from Honiton Running Club took part in The Trepolpen (Tre=village, Pol=coast, Pen=hills) Seythin 10k which is a new race this year organised by East Cornwall Harriers. It is a multi-terrain race with some tough ascents and 'a sting in the tail' with the last section along the beach from Downderry to Seaton (Cornwall). There were 166 runners and the race was won by Nick Loewendahl from St Austell running club in 39:38. Sherrie had a fantastic run coming in as first lady (8th overall) in 44:55. Last Sunday, 8 HRC runners took the shorter journey to Exmouth to take part in JP’s Exe to Axe race organised by Sidmouth Running Club. This race follows the coastal path from Exmouth to Seaton passing through Sandy Bay, Budleigh Salterton, Ladram Bay, Sidmouth, Weston Mouth, Branscombe and Beer before ending at the other end of the sea front in Seaton. This is a particularly tough race of 22 miles and there is a total climb of about 3800 ft. The running conditions underfoot were ideal as was the weather and if runners felt like looking, they were treated to some breathtaking views along the way. First back for HRC was Adam Hennessey who had a great run finishing 26th in 3 hours 19 minutes. Alun Gwernan-Jones was next back coming 74th in 3:49. Nick Silkstone had taken it easy for the first 15 miles running with a HRC group and he just missed the 4 hour mark finishing 92nd in 4:01. A group of 4 HRC runners came in next virtually crossing the line together having stuck with each other for the entire route. They were made up of Judy Davey, Steve Davey, Jo Davey and Richard Harvey. They finished 136-139 in about 4:22. The HRC line-up was completed by Shane Hudd who really struggled but finished 215th in 5:15. The race had joint winners of Robert Ellis and Simon Minting of Exmouth Harriers in 2:52 and there were 244 finishers. On the first day of British Summer Time, Sunday, 31st March, 9 HRClub members took part in the Yeovil Half Marathon. With an early start seeming even earlier with the clocks going forward, it was a little chilly before the off. However, as soon as runners got going it the conditions were ideal. The course is hilly for a road marathon so if personal best times were achieved they were well deserved. Jo Davey led the HRC runners home coming 172nd in 1 hour 37 minutes and 22 seconds and 5th in her category. She was followed by her mum Judy who came 294th in 1:43:04 and 3rd in her age group. It was a family affair as dad, Steve, followed just 58 seconds later coming 330th. Next was Howard Bidmead who came 390th, 4th in category in 1:46:12. Rachel Hennessey had a fantastic race coming 629th in 1:54:06 with a pb for over 7 years. Olivia Higginson followed coming 716th in 1:56:57 and then came Wendy Hawker who came 849th just missing the 2 hour mark by 6 seconds. This was Emma Davey’s first half marathon and she did very well to come 867th just 33 seconds behind Wendy. Finishing the HRC line-up was Pip Vanham who came 1070th in 2:10:48. There were 1618 finishers and the race was won by Stuart Holloway in 1:12. Eight members from Honiton Running Club travelled to North Devon on Saturday, 16th March to test out the Woolacombe Dunes Park Run which has been given the title of the UK’s toughest Park Run. Whether you agree or not it is certainly one of the most stunning for scenery. Extremely blustery conditions greeted the 71 runners who were informed that 4/5 minutes should be added to normal average park run times. The course started on the shingle coast path before a steep descent and a gully deep in sand took runners onto Woolacombe beach. The run along the beach was a mile in length before a steep sand dune had the runners clambering up into the dunes and following an undulating trail to the finish. First Honiton runner back was Emilie Padmore who had a super run finishing 10th overall and first lady home in a time of 24m 29s for the 5k Run. She was followed by Howard Bidmead finishing 17th in 26.06 and was first Male O60. Steve Davey followed and was first Male O55 and finished in 22nd position in 26.42. Other Honiton runners were Roger Saunders who finished in 30th place in 27.54. Darren Roberts 32nd in 28.24. Rachel Hennessey 33rd in 28.52. Pip Vanham 54th in 33.51 and Kathy Layzell in 56th position in 35.26. The event was won by Clinton Winfield finishing in 21m31s. The members then enjoyed a superb breakfast in the Woolacombe Bay Hotel arranged by Pip Vanham and vowed they would be back all having agreed that a fab morning had been had by all. Claire Rouse narrowly missed a pb at the 5th Weymouth 1/2 Marathon on Sunday, 17th March. Runners were treated to near perfect running conditions as they took in a historical and scenic tour of Weymouth. Runners ran along Weymouth seafront for 8 miles then into the town before heading out into the old town towards Portland Harbour, finally looping back to the finish at the Pavilion. Claire came 532nd in 2 hours 54 seconds, the winner was Jacek Cieluszecki in 1 hour 12 minutes and there were 973 finishers. Honiton Running Club had a huge turnout for the infamous Grizzly and Cub races last Sunday, 10th March. The races are put on by Axe Valley Runners and attract literally thousands of runners to Seaton and even more spectators. The race was won by Ceri Rees of Wild Running in the fantastic time of 2 hours 19 minutes. HRC’s first runner back was Kevin Hawker who finished 48th in 2:45. Adam Hennessey came 56th in 2:47 and Alasdair Moffett finished just under 3 hours in 2:59 and 125th place. Sherrie Hair was the first lady back for HRC and 7th lady overall. She came 137th in 3:01. Other Honiton runners; 151st Nick Silkstone 3:03, 208th Mike Mears 3:13, 239th Alun Gwernan Jones 3:16, 330th Rod Inglis 3:23, 332 Judy Davey 3:23, 345th Stephen Boyes 3:23, 346th Tom Bornet 3:24, 467th Jo & Steve Davey 3:34, 533rd David Perkins 3:41, 602nd Wendy McDermott 3:46, 627th Gavin Rice 3:47, 650th Paula Ferris, Simon Spiller and Hadleigh Davies 3:50 (ran together), 680th Julian Gigg 3:51, 691st Sharon Wells 3:51, 692nd Tim Wigram 3:52, 826th Michelle and Steve Selley 4:03, 998th Rachel Hennessey 4:17, 1009th Olivia Higginson 4:19, 1114th Andy Ashford 4:26, 1264th Anna Dalzell 4:43, 1314th Simon Gilbert , Sean Corbett and Claire Rouse 4:48, 1333rd Mandy Ward 4:48, 1343rd Vanessa Knowles 4:50, 1388th Richard Kemp & Luke Holway 5:00, 1405th Pip Vanham 5:02 and 1423rd Katy Campbell 5:05. There were 1589 finishers. The 9 mile Cub Run is a tough race in itself but attracted several HRC runners. First back for HRC was Suzanne Spiller who came 3rd lady overall, 28th position in 1:23, Thomas Lilley isn’t old enough to take part in the full Grizzly but was next back for HRC to come 29th also in 1:23. Other HRC runners: 41st Ceri Oak 1:26, 110th Roger Saunders 1:37, 181st Tracey Perry 1:46, 214th Rebecca Stevens 1:50, 238th Kate Harding 1:53, 306th Simon Bates 2:00, 365th Alan Nicholls 2:06, 366th Denis Costello 2:07, 395th Helen Oliff 2:10, 475th Emma Davey 2:16, 484th Teresa Pollard 2:17 and 550th Clare Melbourne 2:27. There were 590 finishers and the race was won by Sidmouth Running Club’s Ben Chesters in 1:10. The Grizzly and Grizzly Cub races formed part of the Grizzly Fest weekend and some HRC juniors took part in the Junior Grizzly held on Saturday, 9th March. The race was won by Jacob Bell in 15 minutes 55 seconds. Ben Matthews came 12th in 19:12, Maicey Bennet came 23rd in 21:53 and Skye Simmons came 25th in 22:08. There were 31 finishers. There was also a Junior Cub run which was won by Will Birchall of Mrs Ethelston’s School and there were 128 children taking part. A further 129 children took part in the fun run which was won by Exmouth Harriers’ Ellis Brown. Thanks to Axe Valley Runners’ Grizzly Committee, the landowners, the marshals especially the 8 from the club, sponsors and everyone else who was involved in any way in putting on this fabulous, well organised weekend. Honiton Running Club had a sole representative at the Looe 10 miler on Saturday, 23rd February. This is an undulating run, and with 1600ft of total ascent, it is as advertised 'hilly and hellish'! The race is organised by Looe Pioneers Running Club; Sherrie Hair ran this in memory of the club’s founder Ian Slee who was a good family friend and running inspiration. There were 517 finishers, with Tony Brewer winning in a time of 1:01:13. Sherrie was 2nd lady, finishing in 1:17:19. George (7yrs) and Samuel (5yrs) Hair took part in the 1 mile fun run. All funds were raised for Cornwall Air Ambulance. Several Honiton Running Club members took the short journey to Dalwood to take part in the Dalwood 3 Hills’ Challenge last Sunday which is a tough 10 mile multi-terrain race boasting 4 hills rather than the suggested 3. It was the hottest day of the year so far and Dalwood was bathed in glorious sunshine. There are some stunning views at the top of the hills and with the visibility excellent this was a treat for all. Although the weather was dry, it didn’t follow that the ground was dry and runners were not disappointed with the amount of mud to wade through. Adam Hennessey was the first back for HRC coming 6th overall in 1 hour 16 minutes and 3 seconds. Steve Davey followed in 41st place in 1:37:15 having just overtaken HRC’s first lady back, Ceri Oak, who finished 43rd in 1:37:41. Ceri and Judy Davey raced each other down the last hill and Judy finished just 7 seconds behind her winning her age category prize. Paula Ferris had a great run, much faster than last year, storming home to come 50th in 1:39:53. Simon Spiller feels his training is lacking distance so he did well to finish 57th in 1:43:47. Rachel Hennessey was next back coming 81st in 1:57:35. This is the furthest race Emma Davey has tackled and it’s not an easy one! She came 85th in 2:02:02. Claire Rouse was using this as a training run and came 91st in 2:08:57 and finishing the HRC line-up was Pip Vanham who came 95th in 2:26:13. The race was won by Axe Valley Runners’ James Green in a time of 1:08:50 and there were 97 finishers. Several HRC juniors took part in the Fun Run which was won by Oscar Purchase in 11 minutes 4 seconds. Max Spiller led HRC home to come 5th in 11:32 and he was followed by Mason Peck who came 9th in 12:09. Max’s sister Ella was the 1st girl back for HRC coming 11th in 12:30. Next came a trio of brothers in the form of Harry, Ben and Charlie Entwistle who came 13th in 13:55, 18th in 15:31 and 22nd in 19:41 respectively. Maicey Bennett set out to tackle the Fun Run but ended up running the Mini Challenge so she did well to be given a time of 37 minutes. There were 24 finishers. Thanks to Dalwood Run Committee, the landowners and marshals for another great Dalwood race. February 2019 Handicap - Well done Bernice! 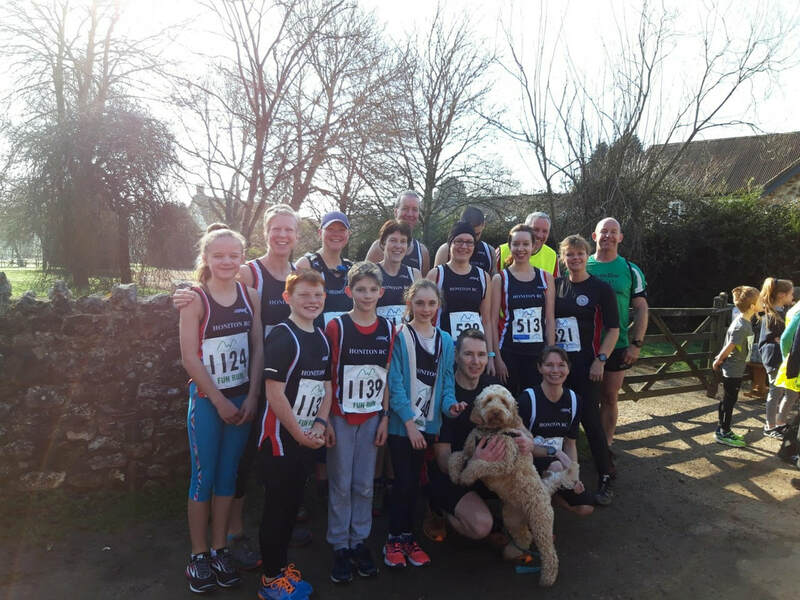 Several Honiton Running Club members had a lot of fun in Somerset with variable weather conditions from bright sunshine to strong headwinds and hail storms last Sunday for the Humdinger Half Marathon. Kathy Layzell ran the 5 mile Hestercombe Hurtle in 46 minutes 20 seconds and was a little peeved that she was awarded with no medal or t shirt but a biscuit! The Half Marathon is a brutal, hilly race on quiet country roads through the Quantock Hills. First home for HRC was Mike Mears who came 19th in 1.34.28. Next came the first lady for HRC, Jennie Sleeman who was 1st in her age category and finished in 1.57.17. Rachel Hennessey was next in 2.01.14 and Olivia Higginson 5 mins later in 2.06. 12 Mandy Ward did her usual sprint finish in 2.13.09.. Finishers for this race did get a t shirt and a biscuit for their efforts and enjoyed delicious cake provided by Jennie and hot chocolate from Kathy. The annual Blackdown Beast social run over the Blackdown Hills (10 or 16 miles) organised by Honiton Running Club is getting ever more popular with more than 230 runners taking part this year ensuring a good sum is raised for MacMillan Cancer. There were many happy runners with some of the Honiton contingent on the left. The pasties and mulled wine at the 7 mile point was especially welcome. 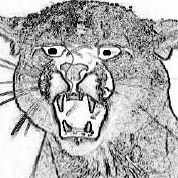 More Photos on Beast Page. Although still called the First Chance 10K in Exeter this race is getting later in January to allow for the effect of the tide. This year the course had been slightly altered to take account of the flood barrier works and the suspicion was it was 100m more than 10K. As always there was a good turnout from Honiton Running Club seeking for a good time early in the new year. The race was won by Jim Cole in a time of 32:29 and first lady back was Susannah Reid in 38:28. For the Honiton runners chairman Howard Bidmead was just first back at 45:56 with Jay Sweetman just 2 secs behind. Howard was second in his Vet60 category. Michael Killen was happy with his run at 51:32 ahead of his partner Olivia. Katy Campbell newly returned to the club did a very good time in 52:07 after her year long cycle around the world just beating Olivia Higginson at 52:17. Ashleigh Ford, a Honiton Junior helper, came second in the under 20 female category in a time of 56:37. Wendy Hawker who has taken more than a year off from running due to injuries managed to run a great time in 56:52 which is a PB so she finished with a big smile. Next came Clare Melbourne doing a short run for her in 57:42 and Pip Vanham did an impressive PB for her in 1:00:11 so she was overjoyed. Judging by the happy faces at the finish most runners enjoyed this event. ​Honiton Running Club’s Kevin Hawker, Luke Holway, Mandy Ward and Simon Gilbert ran the Oh My Obelisk 13.4 mile race from Dawlish Leisure Centre. This is a very hilly course up to the Obelisk but coming back was not all downhill with some tough ascents over the last couple of miles. First home for Honiton was Kev Hawker coming home first vet 40 in 10th place in 1hr 33. Next home was Luke Holway in 2hr 20 running which was 20 minutes quicker than he expected. Mandy Ward was down to run the 9 mile but opted for the longer version on the day and had a fantastic run. Simon Gilbert ran his first half for a decade and loved it. Mike Mears did the shorter 9 mile version after suffering from a bad cold and came a great place winning a category prize. ​Last Sunday several Honiton Running Club members went to Axmouth to take part in the Axmouth Challenge which is a tough 9 mile multi-terrain race organised by Axe Valley Runners. It had been very cold the previous day but quite a bit warmer on the day which pleased racers. First back for Honiton was Vernon Gillard who finished 24th in 1 hour 12 minutes and 38 seconds just ahead of Jo Davey who stormed home to knock 3 minutes off her time for last year meaning she came first lady. This completed a superb running weekend for Jo who also came first lady at the Seaton Park Run on Saturday. Jo finished 9 seconds behind Vernon. Jo’s dad, Steve, followed having battled with Jo’s mum, Judy, during the race. Steve came 34th in 1:16:55 with Judy finishing just 10 seconds later. Pippa Westall finished 52nd in 1:23:49. Mark Dallyn was suffering from lack of oxygen following a virus and came 57th in 1:24:38. Rachel Hennessey came 71st in 1:29:45 and Mandy Ward came 80th in 1:35:44. Finishing the line-up for HRC was Emma Davey who had never tackled this distance before. She finished 86th in 1:39:05. The race was won by James Green of AVR in a time of 55:50 and there were 95 finishers. There were other distances on offer including 5 mile, 3 mile and 1 mile races. HRC’s Harrison Stone took on the 3 mile race. He came 8th in 31:26. The race was won by Alexandra Carter in 22:12. Once runners finished and returned to the village hall they were treated to very welcome soup and bacon butties. Weston Loop. Meet outside college at 6:30. Nick's run from Daisymount. 4.5 and 6.5 mile options all on tarmac. Meet at lay-by. Come off the A30 at Daisymount, take the second exit at the roundabout for Exmouth, and then turn left into the lay-by after about 50m. Map here. Friday tempo run. Meet at car park on corner of Silver St/School Lane at 18:30. 1 or 2x Loops around Town.Suitable for all you run at your own pace or with others.